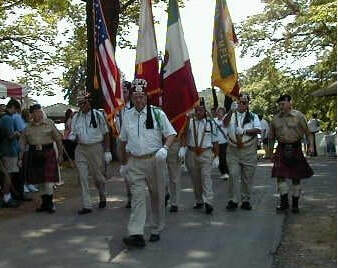 The Knights of St. Andrew is a service club within the Valley of Syracuse. Its mission is to assist the Presiding Officers of the four Central City Bodies in the events and degrees of the Valley…and to have fun. If you are a member of the Scottish Rite, this is a chance for you to get involved in a casual way. Only 32° Masons may be active members. MSAs or 33° Brothers may join as Emeritus members. We fall under the direct supervision of the Executive Committee so we will be at the forefront of what is happening around the Valley. We feel everybody needs to be involved in something to whatever extent is appropriate for their needs and abilities. 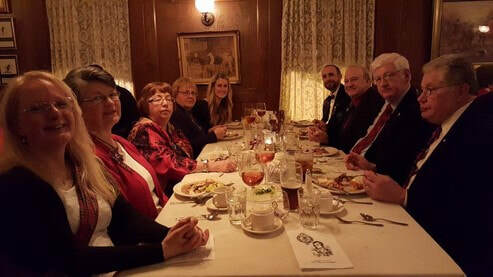 The Knights train 32° Masons in the structure and philosophy of the Syracuse Scottish Rite bodies. We especially want to enlist the new member soon after receiving the Scottish Rite degrees. We will quickly expose him to as many opportunities in conjunction with his interests and where he wants to concentrate his efforts. 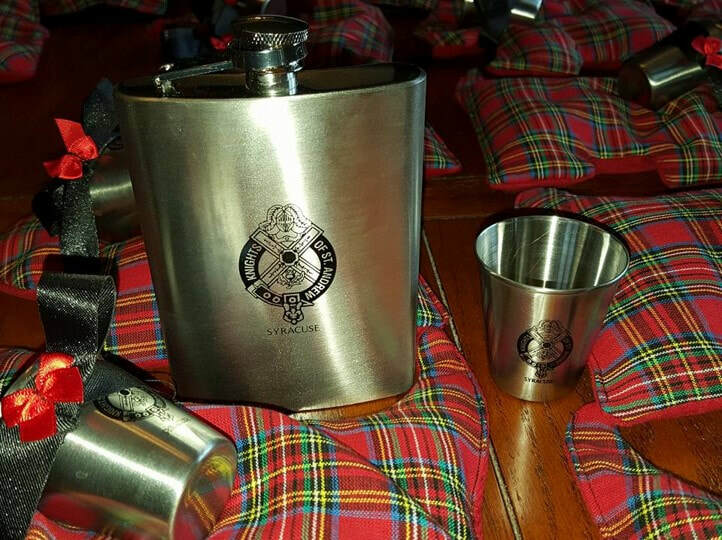 We will help new members get a better “feel” for what the Scottish Rite is all about. We meet several times during the year and around Reunion time with stated meetings as called. Some of the meetings will be formal, but others may be called to handle some important item of business in a timely fashion. Initiation Ceremonies will be open to the public because we want the candidate's family to observe and take part in his initiation. To Join - Download the application below and return with the fee to the Scottish Rite Office. For questions, call the Office.